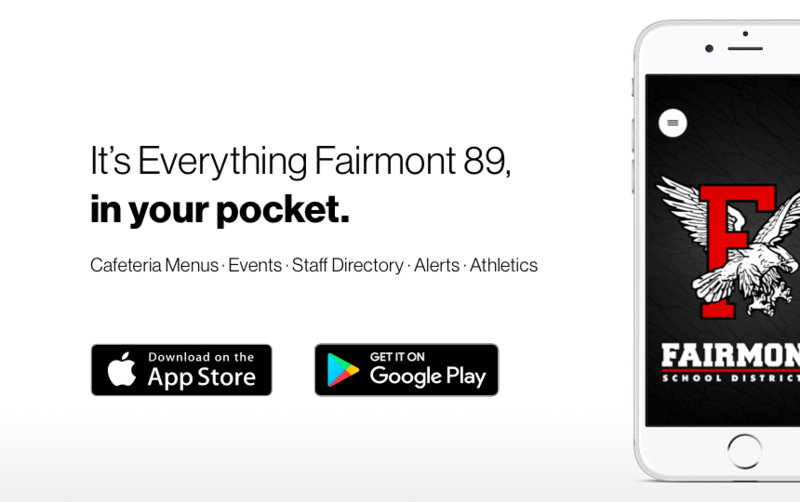 We're thrilled to announce Fairmont School District 89's new app! It's everything Fairmont 89, in your pocket! With the new app, you can access sports scores, cafeteria menus, news updates, and even emergency notifications. Download the app on Android: http://bit.ly/2IXfncg or iPhone: https://apple.co/2TI0WNk. Copyright © Fairmont School District 89 2019. All rights reserved.